This class will address why emergency preparedness is critical to protect your organization from external risks and internal vulnerabilities and will examine the typical process and contents of a plan. This webinar will lay out the basic tenets of responding to an emergency including support organizations, working with vendors, and will offer helpful resources for organization and planning. This session will cover securing your data, network, website, and computers. It will address security myths, passwords, tracking, malware, and will cover a range of tools and techniques, making this session ideal for small to mid-sized organizations. 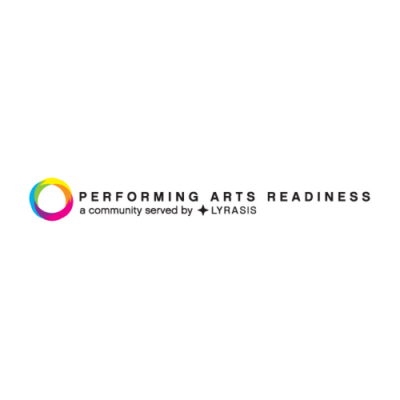 performing arts organizations for the creation of Emergency Preparedness Plans. This brief webinar will review the goals and guidelines of these grants. Using a series of case studies, this class will examine how to collect and organize both physical and digital arts-related materials, so you can access these materials for future use. This session focuses on the vital role that the arts play in a community’s recover from disaster and provides a how-to of how Performing Arts organizations can engage in this work. This webinar will focus on mitigating risks at institutions to prevent disasters from happening and to reduce their impact. The session will clarify the need for risk assessment as a part of an organization’s disaster preparedness strategy and provide basic information on risk assessment tools. This webinar will demonstrate how working with multiple organizations in a network for disaster management can be accomplished and examine the history of networking for improved preparedness.